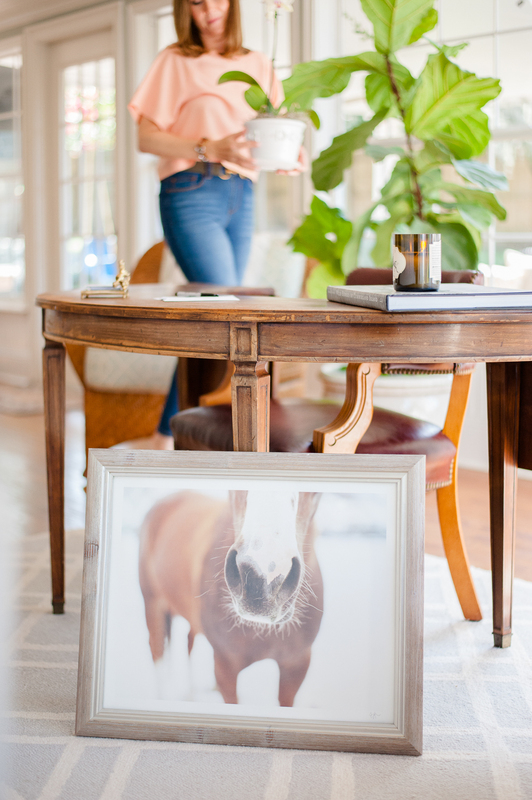 I recently connected with the lovely Ashley Hall, an interior designer and owner of Equestrienne Decor, an online destination offering a collection of equestrian-inspired home decor only found in “charming boutiques, barns, and attics” as well as interior design services where her equestrian style pours into the life of the home she’s designing. Her ideology behind the Equestrienne Decor brand stems from her younger years growing up on Maryland’s Eastern shore, surrounded by her horses, travels, and interior design. Ashley masterfully combines her love of equestrian elements and decor, transforming the ordinary into a lifestyle lived with just the right amount of equestrian elegance. In listening to Ashley’s needs, I learned that she was wanting updated imagery of her products (you must check out her Equine Candles and “Eco Bits” reversible throw! ), as well the desire to infuse more of her “real life” to her instagram followers. 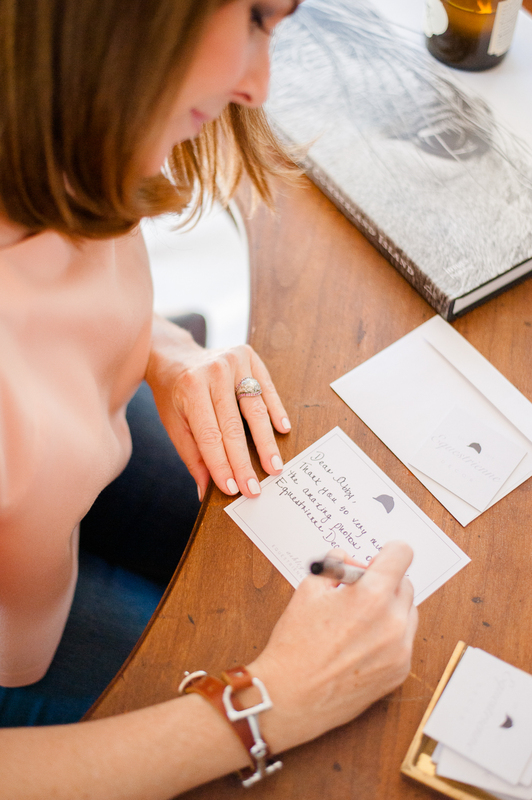 In asking a few preliminary questions about her brand as well as learning of her color palette, I arranged our lifestyle shoot to cater to both website and instagram, a great way to marry her two needs into one shoot. We shot in her home, a beautiful space filled with family photos, amazing natural light, and of course her own dose of equestrian style! I just love all of the effortless touches each one of her products gives to a space. Check out some highlights from our shoot below and be sure to give her a follow on Instagram, you’re in for a real treat! There were so many nooks in her home that were perfect for her product shots. We effortlessly combined our ideas and styled this hutch to perfection! A few flat-lays to give a different perspective…I can’t get enough of her Society Wit nail polish! You can find the above items under her JEWELRY & POLISHES section. A little throw pillow to go with your throw! And we couldn’t forget Ashley’s adorable side kick “Ellie”. Who says it’s a horse’s life?